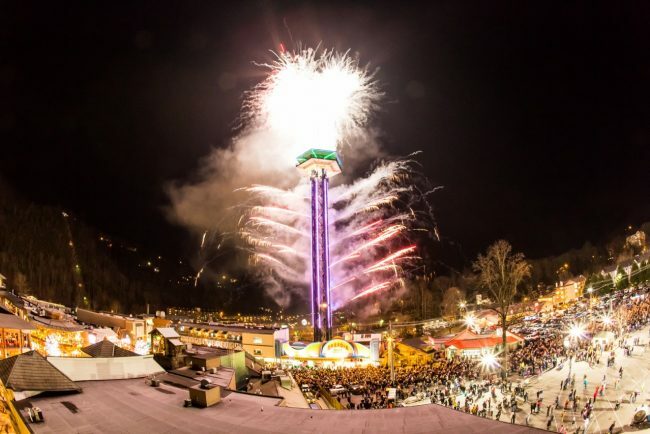 In Gatlinburg the new year is ushered in at the Space Needle, off Parkway at Light #8, where around 50,000 people are expected to brave the cold and gather for music and the countdown to 2018, with the famous Ball Drop and the amazing pyrotechnic fireworks display. This year the Space Needle has added super-sharp LED lights synchronized to music. There will be a live band performing in the hours before midnight, and a super friendly crowd of revelers as always. In Pigeon Forge the midnight party starts at The Island from 6 pm on, with kids and grown-ups activities, games and prizes, a free country show featuring Raelynn, lots of dancing and of course at midnight a fantastic fireworks display. The Island is a fun place to visit and very family friendly. With places to shop and dine or snack, games and rides for kids, a beautiful atmosphere and stylish events, The Island has become a great favorite for many. 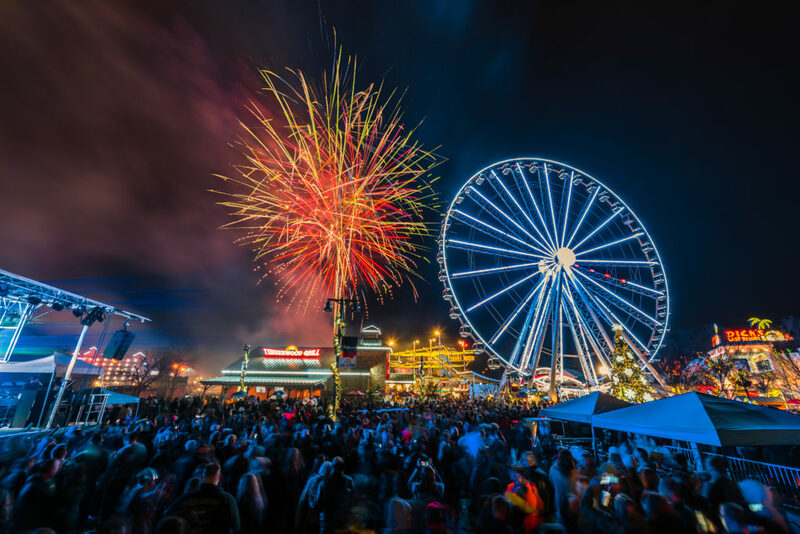 Also in Pigeon Forge if you want to catch a show as well as count down to the new year, Smoky Mountain Opry is putting on a special New Year’s Eve show and presenting a live feed from Times Square in New York. This year The Titanic attraction in Pigeon Forge is hosting a Noon Year’s Eve celebration for the kids. It begins at noon on Sunday, December 31. Reservations are required for this event – call 800-381-7670 for details. Recommended for kids 12 years and younger, the celebration includes a museum tour, story book characters, and a countdown to the Noon Balloon Drop. Kids are invited to come in their pajamas!